Magic Whiteboard Products sells reusable sticky notes that work with dry erase markers and cling via static. Find out more. Instead of buying pads of sticky notes, cut up pieces of used paper into quarters and keep a stack handy. 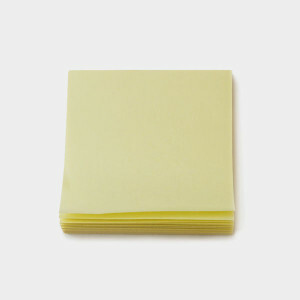 Use these when you don’t need a note to stick to something.